Twenty companies have expressed interest in bidding on Atlus following the bankruptcy of the developer's parent company. With the newly-bankrupt Index Holdings selling off its assets, Japanese developer Atlus is for sale. According to one report, Sega is among the companies looking to scoop up the JRPG maker. The house that Sonic built isn't alone in its quest, though: the report states that 20 companies are interested in or bidding on Atlus, with the highest bid reaching $203 million. Atlus seemed uncertain when Index Holdings announced that it was filing for bankruptcy (possibly because of fraud) last month. 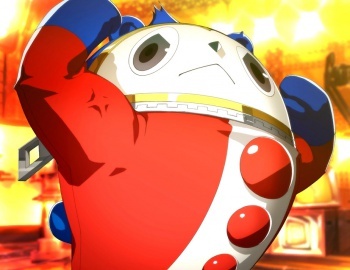 However, a statement from the studio, perhaps best known for the Shin Megami Tensei series and its various offshoots, seemed confident that work would carry on: "The development and sales of the Atlus brand as well as the consumer business will continue." With so many potential bidders and such a high reported price, there's probably no need to worry about the future of Atlus. Unless this situation somehow interferes with the making of the next Persona game, in which case there will be hell to pay.